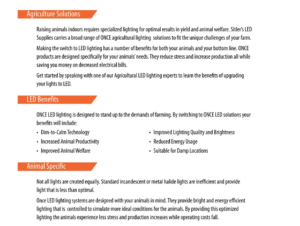 New Sitler’s LED Products Catalog! 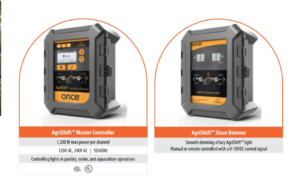 Sitler’s has released a new and improved product catalog! Today, we are going to take a look at what improvements have been made in our latest catalog edition. In our updated catalog, you are now able to see pictures of all of our products, even their separate components. See below for a few examples! 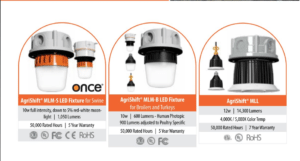 Our catalog is broken down into lighting types, such as wall packs, linear lamps, floodlights, etc. 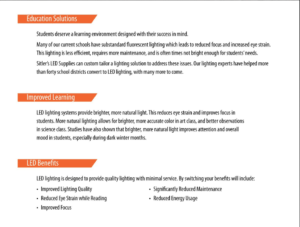 Now included in each section are examples of where these lights work best when installed such as schools, office buildings, convenient stores, and more! The catalog also clearly lays out each bulb’s intended use. See an example below! Last, but not least, we have laid out how particular LED lighting in certain environments and applications can specifically improve your spaces. We offer information and solutions for schools, convenient stores, car dealerships and agriculture.